Siegmund, Stephanie E. Grassucci, Robert Carter, Stephen D. Barca, Emanuele Farino, Zachary J. Juanola-Falgarona, Martí Zhang, Peijun Tanji, Kurenai Hirano, Michio Schon, Eric A. Frank, Joachim and Freyberg, Zachary 2018. Three-Dimensional Analysis of Mitochondrial Crista Ultrastructure in a Patient with Leigh Syndrome by In Situ Cryoelectron Tomography. iScience, Vol. 6, Issue. , p. 83. Eukaryotes rely on mitochondrial division to guarantee that each new generation of cells acquires an adequate number of mitochondria. Mitochondrial division has long been thought to occur by binary fission and, more recently, evidence has supported the idea that binary fission is mediated by dynamin-related protein (Drp1) and the endoplasmic reticulum. However, studies to date have depended on fluorescence microscopy and conventional electron microscopy. Here, we utilize whole cell cryo-electron tomography to visualize mitochondrial division in frozen hydrated intact HeLa cells. We observe a large number of relatively small mitochondria protruding from and connected to large mitochondria or mitochondrial networks. Therefore, this study provides evidence that mitochondria divide by budding. Beech, P.L., Nheu, T., Schultz, T., Herbert, S., Lithgow, T., Gilson, P.R. & McFadden, G.I. (2000). Mitochondrial FtsZ in a chromophyte alga. Science 287, 1276–1279. Benard, G. & Karbowski, M. (2009). Mitochondrial fusion and division: Regulation and role in cell viability. Semin Cell Dev Biol 20, 365–374. Blackstone, C. & Chang, C.R. (2011). Mitochondrial unite to survive. Nat Cell Biol 13, 521–522. Chan, D.C. (2006). Mitochondrial fusion and fission in mammals. Annu Rev Cell Dev Biol 27, 79–99. Davison, M.T. & Garland, P.B. (1977). Structure of mitochondria and vacuoles of Candida utilis and Schizosaccharomyces pombe studied by electron microscopy of serial thin sections and model building. J Gen Microbiol 98, 147–153. Fawcett, D.W. (1981). The C ell , 2nd ed. Philadelphia, PA, USA: Saunders Press. pp. 430–437. Frank, J. (2006). Electron Tomography: Methods for Three-Dimensional Visualization of Structures in the Cell, 2nd ed. New York, NY, USA: Springer. Frey, T.G. & Mannella, C.A. (2000). The internal structure of mitochondria. Trends Biochem Sci 25, 319–324. Fridman, K., Mader, A., Awerger, M., Elia, N. & Medalia, O. (2012). Advances in tomography: Probing the molecular architecture of cells. Nat Rev Mol Cell Biol 13, 736–742. Friedman, J.R., Lackner, L.L., West, M., DiBenedetto, J.R., Nunnari, J. & Voeltz, G.K. (2011). 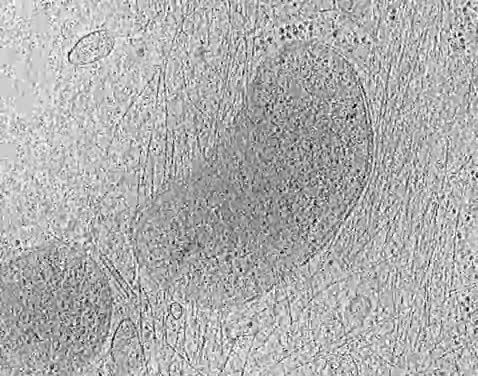 ER tubules mark sites of mitochondrial division. Science 334, 358–362. Gray, M.W., Burger, G. & Lang, B.F. (1999). Mitochondrial evolution. Science 283, 1476–1481. Haust, M.D. (1968). Mitochondrial budding and morphogenesis of cytoplasmic vacuoles in hepatocytes of children with the Hurler syndrome and Sanfilippo disease. Exp Mol Pathol 9, 242–257. Hirsch, P. (1974). Budding bacteria. Annu Rev Microbiol 28, 391–444. Hom, J.R., Quintanilla, R.A., Hoffman, D.L., de Mesy Bentley, K.L., Molkentin, J.D., Sheu, S.S. & Porter, G.A. Jr. (2011). The permeability transition pore controls cardiac mitochondrial maturation and myocyte differentiation. Dev Cell 146, 798–812. Hoppins, S., Lackner, L. & Nunnari, J. (2007). The machines that divide and fuse mitochondria. Annu Rev Biochem 76, 751–780. Ishihara, N., Nomura, M., Jofuku, A., Kato, H., Suzuki, S.O., Masuda, K., Otera, H., Nakanishi, Y., Nonaka, I., Goto, Y., Taguchi, N., Morinaga, H., Maeda, M., Takayanagi, R., Yokota, S. & Mihara, K. (2009). Mitochondrial fission factor Drp1 is essential for embryonic development and synapse formation in mice. Nat Cell Biol 11, 958–966. Kashatus, D.F., Lim, K.H., Brady, D.C., Pershing, N.L. & Cox, A.D. (2011). RALA and RALBP1 regulate mitochondrial fission at mitosis. Nat Cell Biol 13, 1108–1115. Kremer, J.R., Mastronarde, D.N. & McIntosh, J.R. (1996). Computer visualization of three-dimensional image data using IMOD. J Struct Biol 116, 71–76. Larsen, W.J. (1970). Genesis of mitochondria in insect fat body. J Cell Biol 47, 373–383. Lewis, M.R. & Lewis, W.H. (1914). Mitochondrial in tissue culture. Science 39, 330–333. Lo, Y.S., Hsiao, L.J., Jane, W.N., Cheng, N. & Dai, H. (2011). Ultrastructural studies on actin-like filament in mung bean mitochondria and its potential functional significance. Bot Stud 52, 445–454. Matarrese, P., Tinari, A., Mormone, E., Bianco, G.A., Toscano, M.A., Ascione, B., Rabinovich, G.A. & Malorni, W. (2005). Galectin-1 sensitizes resting human T lymphocytes to Fas (CD95)-mediated cell death via mitochondrial hyperpolarization, budding, and fission. J Biol Chem 280, 6969–6985. Medalia, O., Weber, I., Frangakis, A.S., Nicastro, D., Gerisch, G. & Baumeister, W. (2002). Macrolmolecular architecture in eukaryotic cells visualized by cryoelectron tomography. Science 298, 1209–1213. Meeusen, S., McCaffery, J.M. & Nunnari, J. (2004). Mitochondrial fusion intermediates revealed in vitro. Science 305, 1747–1752. Montessuit, S., Somasekharan, S.P., Terrones, O., Lucken-Ardjomande, S., Herzig, S., Schwarzenbacher, R., Manstein, D.J., Bossy-Wetzel, E., Basañez, G., Meda, P. & Martinou, J.C. (2010). Membrane remodeling induced by the dynamin-related protein Drp1 stimulates Bax oligomerization. Cell 142, 889–901. Neuspiel, M., Schauss, A.C., Braschi, E., Zunino, R., Rippstein, P., Rachubinski, R.A., Andrade-Navarro, M.A. & McBride, H.M. (2008). Cargo-selected transport from the mitochondria to peroxisomes is mediated by vesicular carriers. Curr Biol 18, 102–108. Nicastro, D., Frangakis, A.S., Typke, D. & Baumeister, W. (2000). Cryo-electron tomography of neurospora mitochondria. J Struct Biol 129, 48–56. Otera, H., Wang, C., Cleland, M.M., Setoguchi, K., Yokota, S., Youle, R.J. & Mihara, K. (2010). Mff is an essential factor for mitochondrial recruitment of Drp1 during mitochondrial fission in mammalian cells. J Cell Biol 191, 1141–1158. Palmer, C.S., Osellame, L.D., Laine, D., Koutsopoulos, O.S., Frazier, A.E. & Ryan, M.T. (2011). MiD49 and MiD51, new components of the mitochondrial fission machinery. EBMO Rep 12, 565–573. Perkins, G., Bossy-Wetzel, E. & Ellisman, M.H. (2009). New insights into mitochondrial structure during cell death. Exp Neurol 218, 183–192. Pesce, G. & Walter, P. (2007). Video 14.2 mitochondrial fission and fusion. In Molecular Biology of the Cell, 5th ed. Alberts B. et al. (Eds. ), Video 14.2. Garland Science. Pettersen, E.F., Goddard, T.D., Huang, C.C., Couch, G.S., Greenblatt, D.M., Meng, E.C. & Ferrin, T.E. (2004). UCSF Chimera—a visualization system for exploratory research and analysis. J Comput Chem 25, 1605–1612. Pilhofer, M., Ladinsky, M., McDowall, A.W., Petroni, G. & Jensen, G.J. (2011). Microtubules in bacteria: Ancient tubulins build a five-protofilament homolog of the eukaryotic cytoskeleton. PloS Biol 9(12), e100123. Shim, S.H., Xia, C., Zhong, G., Babcock, H.P., Vaughan, J.C., Huang, B., Wang, X., Cheng, X., Bi, G.Q. & Zhuang, X. (2012). Super-resolution fluorescent imaging of organelles in live cells with photoswitchable membrane probes. Proc Natl Acad Sci USA 109, 13978–13983. Smirnova, E., Griparic, L., Shurland, D.L. & van der Bliek, A.M. (2001). Dynamin-related protein Drp1 is required for mitochondrial division in mammalian cells. Mol Biol Cell 12, 2245–2256. Soubannier, V., McLelland, G.L., Zunino, R., Braschi, E., Rippstein, P., Fon, E.A. & McBride, H.M. (2012 a). 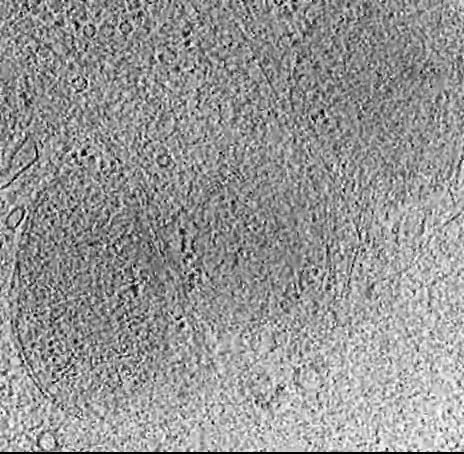 A vesicular transport pathway shuttle cargo from mitochondria to lysosomes. Curr Biol 22, 135–141. Soubannier, V., Rippstein, P., Kaufman, B.A., Shoubridge, E.A. & McBride, H.M. (2012 b). Reconstitution of mitochondria derived vesicle formation demonstrates selective enrichment of oxidized cargo. PloS One 7, e52830. Steven, A.C. & Aebi, U. (2003). The next ice age, cryo-electron tomography of intact cells. Trends Cell Biol 13, 107–110. Tandler, B. & Hoppel, C.L. (1973). Division of giant mitochondria during recovery from cuprizone intoxication. J Cell Biol 56, 266–272. Thévenaz, P. & Unser, M. (2007). User-friendly semiautomated assembly of accurate image mosaics in microscopy. Microsc Res and Tech 70, 135–146. van Driel, L.F., Valentijn, J.A., Valentijn, K.M., Koning, R.I. & Koster, A.J. (2009). Tools for correlative cryo-fluorescence microscopy and cryo-electron tomography applied to whole mitochondria in human endothelial cells. Eur J Cell Biol 88, 669–684. Westermann, B. (2010). Mitochondrial fusion and fission in cell life and death. Nat Rev Mol Cell Biol 11, 872–884. Winkler, H. & Taylor, K.A. (2006). Accurate marker-free alignment with simultaneous geometry determination and reconstruction of tilt series in electron tomography. Ultramicroscopy 106, 240–254. Youle, R.J. & Narendra, D.P. (2011). Mechanism of mitophagy. Nat Rev Mol Cell Biol 12, 9–14. Youle, R.J. & van der Bliek, A.M. (2012). Mitochondrial fission, fusion, and stress. Science 337, 1062–1065. Zhao, J., Liu, T., Jin, S., Wang, X., Qu, M., Uhlén, P., Tomilin, N., Shupliakov, O., Lendahl, U. & Nistér, M. (2011). Human MIEF1 recruits Drp1 to mitochondrial outer membranes and promotes mitochondrial fusion rather than fission. EBMO J 30, 2762–2778. 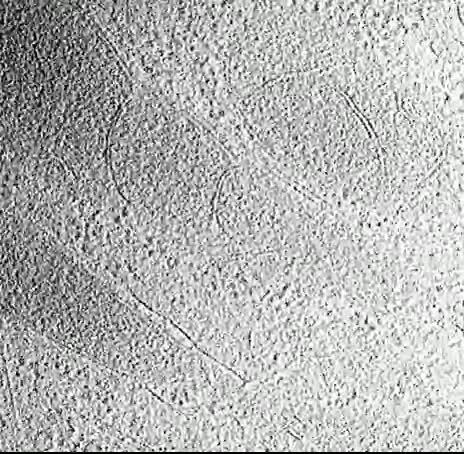 Movie S1, a round-trip slice-wise show of the 3D map associated with Fig. 2A and D.
Movie S2, a round-trip slice-wise display of the 3D map associated with Fig. 2B and E.
Movie S3, a round-trip slice-wise display of the 3D map associated with Fig. 2C and F.